I needed a vegetable to go with the chicken Madeira that I was serving for Jan’s visiting friends. 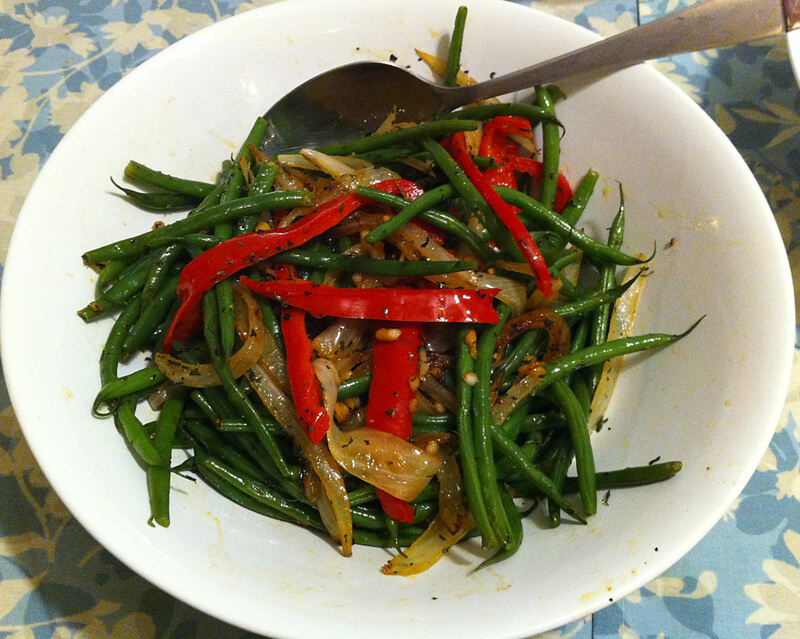 I decided on French green beans, Harcourt vert, that are thinner and more tender than regular American green beans. 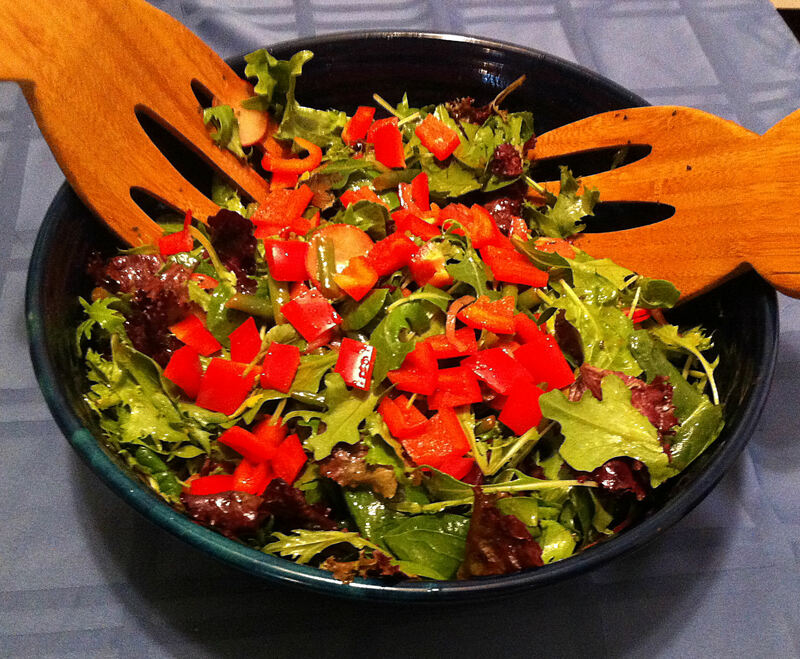 Plain green beans are a bit boring, so I decided to add more interest with herbs and red bell pepper. I needed a vegetable to go with my barbecued tri-tip and mushrooms. I wanted the dish to be Asian, but I did not want to have just a third dish covered in Sichuan pepper sauce. 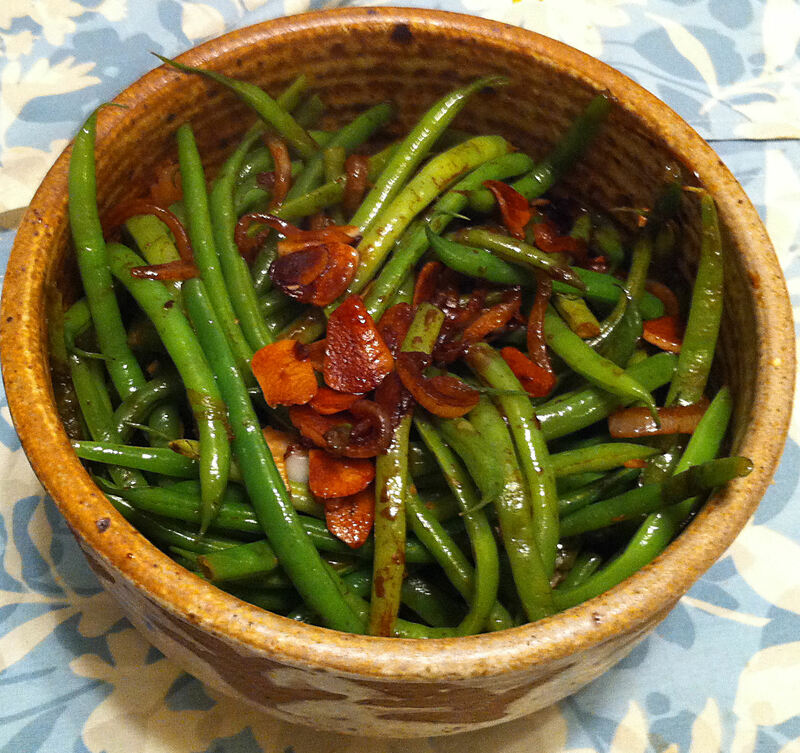 I decided on French green beans, Harcourt vert, that are thinner and more tender than regular American green beans.